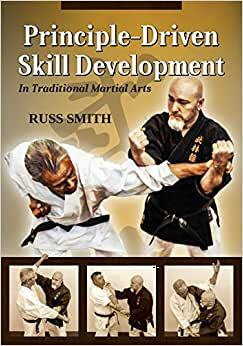 Principle-Driven Skill Development dives deep to describe how to ensure traditional martial artists can avoid the limitations of memory-focused training by utilizing traditional principles, coupled with purpose-driven teaching methods. Readdressing common ideas in martial arts, the author helps outline a method for understanding, codifying, and error-correcting one's own training and teaching methods and focusing on developing progressive understanding in students, and then enlisting traditional application principles to help guide and enhance the effectiveness of clinch-range maneuvers. 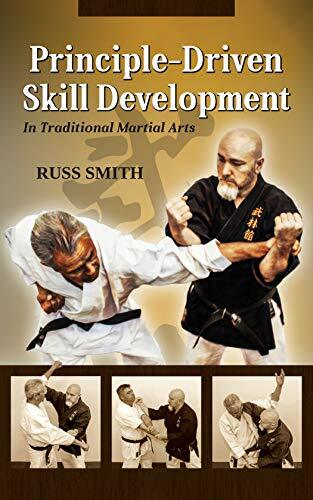 Principle-Driven Skill Development lays a groundwork of fundamental, strategic principles that constitute a universal set of truths for self-defense based martial arts. Principles focused on control, timing, and positioning are then enhanced by principles that assist the practitioner in utilizing their anatomical tools to stack the odds in their favor. These advanced application methods are then supported by a series of structure and power-related principles, ensuring the practitioner has access to the engine(s) necessary to drive powerful and effective techniques. Over 500 photos provide examples of over 30 application principles from arts like Okinawan Karate and Chinese Five Ancestor Boxing, White Crane Boxing, Grand Ancestor Boxing, White Eyebrow Boxing and others. 5.0 out of 5 starsThat a instructor or student can both use this book for current or future study. The author researched the topic extensively and wrote the book so that any one can learn the techniques taught within the book. The author presented the topic with many photographs depicting every technique taught within the book. He gives disclaimers at the sc tart of the book and advises having a qualified instructor to guide you in learning every technique taught in this book. The author also includes much history and cal content along with the techniques. All in all the book is good for instructors to beginning students as a resource for current or future study. 5.0 out of 5 starsThis is my new favorite book. I just love this book. Very well structured and explained, clear photos, and concepts. Really an impressive book. A must read. 5.0 out of 5 starsGreat work. I just finished this book. I thought it to be very well done and very insightful. The principals are backed up and the photos add to the validation and clarity. Great work! 5.0 out of 5 starsGreat Info! Great information in this book! Exactly what I was looking for! A different perspective that reaches to the core and helps things make even more sense for me. 4.0 out of 5 starsExcellent resource for martial arts and personal fitness.